What is Encaustic: Encaustic is a wax-based paint generally made of beeswax, resin, and pigment. The paint is kept in a molten state on a heated palette while being worked. 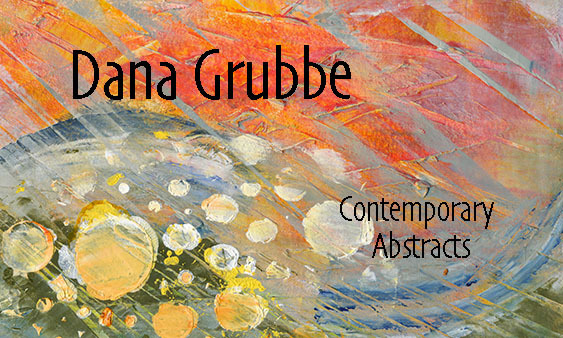 Applied in layers to a rigid and absorbent surface, the new layers are “fused” to the existing painting by reheating. Encaustic is known for its richness of colors (which can be polished to a high gloss), the variety of textures that can be achieved, and the ability to incorporate most mixed media. Encaustic does not require the use of solvents, thus reducing or eliminating health hazards, especially to the artist. Encaustic is an old method of painting, predating most other painting techniques. Encaustic painting dates back to the 5th century BC. 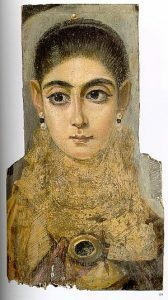 Over 1000 “Fayum Portraits” from almost 2000 years ago, such as the portrait to the right, still exist and may be seen in museums. How to Care for your Artwork: Beeswax is impervious to moisture and Encaustic paint is considered the most durable of all artists’ paints. As with all fine art you will want to keep your artwork in a range of temperatures between 40 and 100°F. Do not hang your painting where the sun will shine on it or in an area exposed to excessive heat such as over the oven or near the fireplace. Never leave your painting inside a hot car or outside in freezing weather. [Your wax will melt at about 150°F and your wax can freeze and crack especially if dropped]. Encaustic paintings do not have to be varnished. Unless they are at risk, you do not need to place them behind glass. If the painting is smooth it can be polished gently with a soft cloth; for textured paintings dampen the cloth with cool water and pat gently. Wikipedia has a great page on Encaustic Painting here.